We are passionate about the country and the nature since 1990, when we turned a wild plot of land in Castelvittorio, in the Maritime Alps behind Sanremo, at 750 m above sea level, into our farm of San Sebastiano. It’s an uncontaminated area where we grow the local distinctive products like the Pigna white beans, the Genoese quarantine potatoes, the artichokes, the roses for the syrup, and where we have the taggiasca olive grove, the vineyard and the centennial chestnut trees. The olive grove produces our extra virgin olive oil, 100 per cent organic not only because our farming credo and technique do not consider the use of chemicals at all, but also because the devastating olive fly is absent at the altitude of our farm. We also have few bee hives producing our honey with the scents of the Mediterranean herbs and chestnuts. 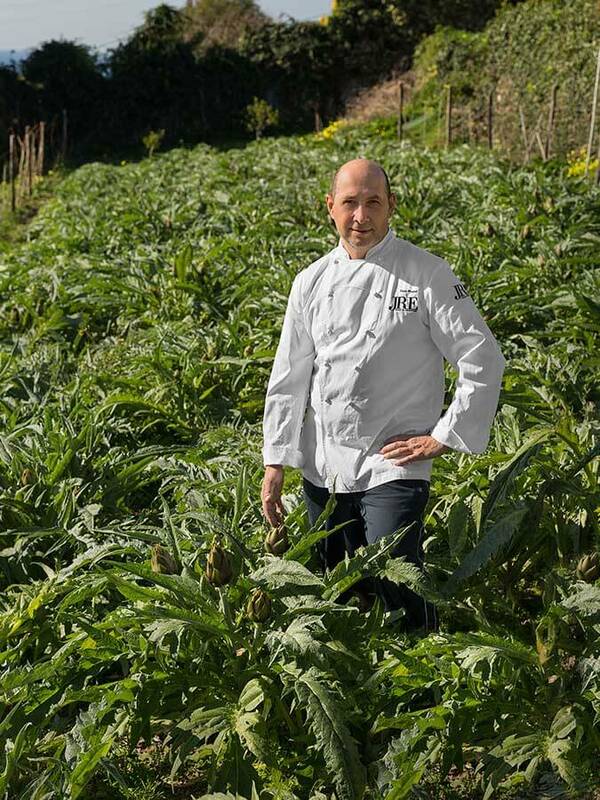 In 2013 we added the vegetable garden by the sea in Ospedaletti, a small town at Sanremo’s west neighbour, characterised by the mildest climate of the whole Ligurian Riviera. 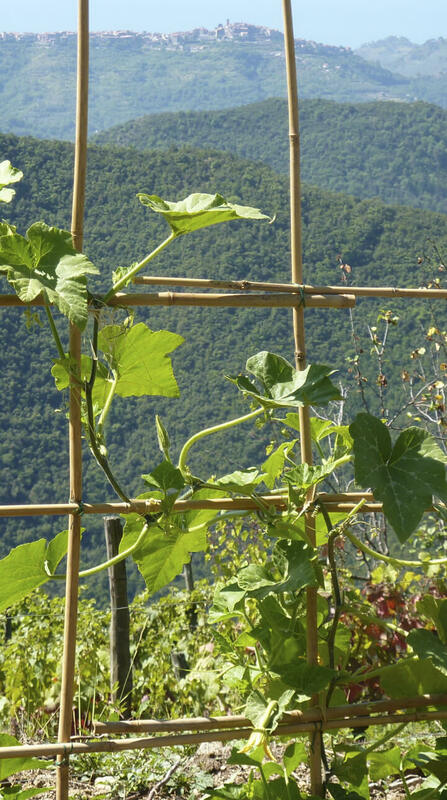 Along with the traditional seasonal products (green peas, fava beans, beefsteak and other varieties tomatoes, “trombette” courgettes, pumpkins, cauliflowers, broccolis, and so on), during the winter this vegetable garden produces the local exquisite artichokes, lemons, and tangerines. Our entire production is completely organic, without fertilisers and any other chemicals. 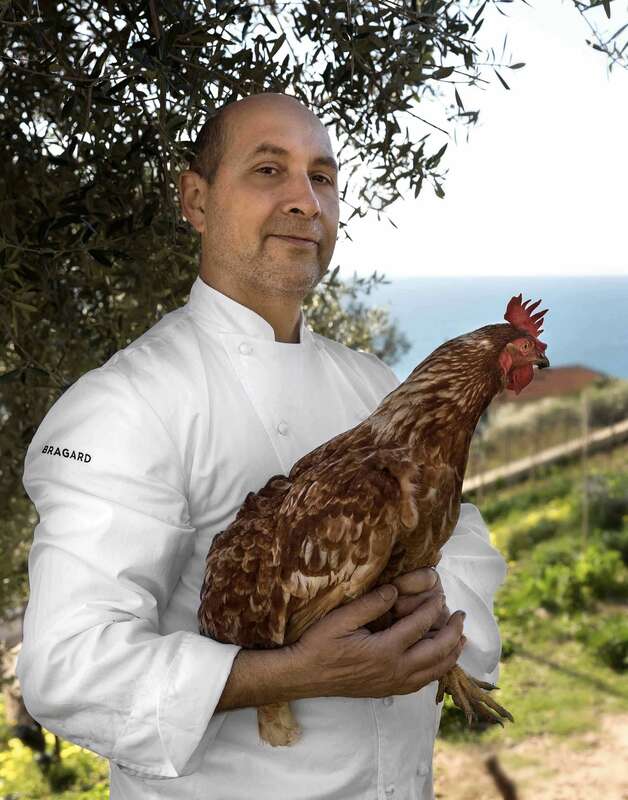 In 2015 we placed in the Ospedaletti farm a coop with laying hens, that can graze out in the vegetable garden and help to fight the bug larvae such as the small snails, a true delicacy for them. Since few years we produce also a small quantity of four different types of natural wines, made without chemicals but using indigenous yeasts. Our friend Eros Mammoliti, who created the wine Moscatello di Taggia, personally oversees the winemaking in his cellar located in Ceriana, nearby Sanremo. In Castelvittorio, at 750 m above sea level, we produce the red wine Armeleo with our over 20-years old Merlot vineyard, the rosé wine Albarosa and the white wine Pietravecchia from vermentino grapes. In the vineyard by the sea we produce the white wine Maroso, also from vermentino grapes.